Earlier this year, Maruti Suzuki India (MSI) introduced a mid-cycle facelift for its premium hatchback, the Baleno. 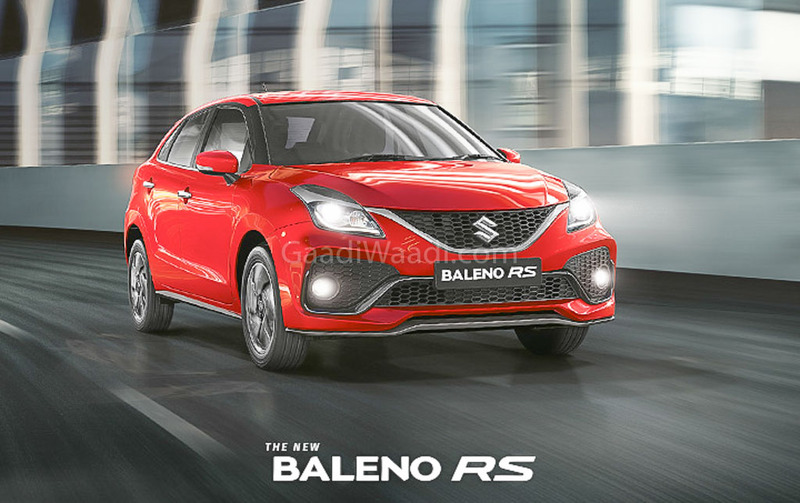 Now, the company is ready to launch the updated version of the Maruti Baleno RS. The first batch of the performance-focused hatchback has already started reaching the dealerships, which means the launch of the new model could be just days away. Prices of the 2019 Maruti Baleno RS are already available. The hot hatch will retail at an ex-showroom price of Rs 8.76 lakh. Like the regular version, the Baleno RS has received a revised styling package for its front end. The Maruti Baleno RS has received a more aggressive bumper and a revised chrome trim for the grille. The new bumper helps infuse some more sportiness with the front fascia of the more powerful version of the hot-selling hatchback. The 2019 Maruti Baleno RS also receives a new set of alloy wheels, which have a dual-tone look instead of the black rims available earlier. The revised front-end carries a larger air intake and repositioned fog lamps. These updates lend a sportier touch to the vehicle. Other than this, the 2019 Maruti Baleno RS also gets revised LED tail lights. The video doesn’t offer a clear view of the interior, but a revised trim and a new upholstery are a given. Also, the Bosch-sourced Smartplay infotainment unit of the earlier model has been replaced with the new Clarion-sourced Smartplay Studio touchscreen system that offers a revised interface and the same connectivity options as the earlier unit. Other than this, the car also gets additional safety features to meet the upcoming norms. These include a speed alert system and co-driver seatbelt reminder. Mechanically, the 2019 Maruti Baleno RS remains the same as the pre-facelift model. It continues to be powered by the imported K10C 1.0-litre Boosterjet turbocharged petrol engine that outputs a maximum power of 101.97 PS and a peak torque of 150 Nm. The more powerful version of the company’s popular small car has an ARAI-rated fuel efficiency of 21.1 km/l.